Participating staff and students and bottom L-R: Back Row L-R: Rupert Rees, Principal Luke Rake, NFU County Chairman, James Cossins, Matthew Holland from C&O Tractors; Front Row L-R: Drew Adams, Tom Stinton, George Flew and Scott Norton. 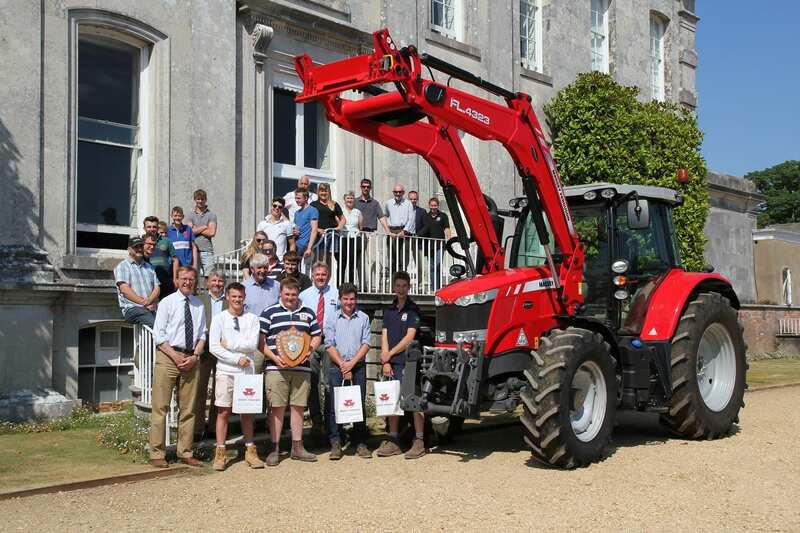 The eighth year of the celebrated NFU Agricultural Student of the Year Competition at Kingston Maurward College resulted in a unanimous win for Tom Stinton; with runners up Scott Norton, George Flew and Drew Adams. The Award was initiated in 2011 by the NFU in conjunction C&O Tractors Ltd, who wanted to support a credible accreditation that would aid young farmers in their future careers. The seventeen participating students second year Level 3 Extended Diploma in Agriculture students, competed against one another in an intense day of tasks. These included livestock, machinery and estate skills tasks, culminating in a 50-question theory test. This was followed by an interview with a panel of judges including Rupert Rees formerly secretary for the Dorset NFU, NFU County Chair, James Cossins, and C&O Tractors’ Matthew Holland. Tom was presented with a trophy and a prize of £250 worth of Massey Ferguson merchandise from C&O Tractors. C&O’s main brand are Massey Ferguson, sponsors and supporters of Young Farmers at a national level. Dorset NFU County Chairman, James Cossins, said: “Once again judging the Student of the Year competition was very challenging with very enthusiastic Students competing for the top prize. They showed great determination to make their future in agriculture in food production despite uncertain times ahead.